As with KISS And Make-Up, I never really had a desire to read the history of Led Zeppelin because I pretty much knew all the stories from various sources over the years, be it from on-camera interviews with members of the band or interviews from magazines and such. As far as When Giants Walked The Earth, I was even less inclined to read it for the simple fact that it was written by someone other than a member from Led Zeppelin. This isn't a knock against the author Mick Wall. The dude did his research, albeit flawed and then some, with extensive interviews with people in and out of the band. But for me as a reader, it always loses something in the translation when another person writes about something as big as Led Zeppelin. What we are left with is the author's interpretation of what happened. The book itself is a decent read when it's talking about the band in present day, reflecting on all the stories and myths synonymous with Jimmy Page, Robert Plant, John Paul Jones and John Bonham. I actually couldn't put the book down reading it from page to page when it's all about the Zeppelin mystique and it's place in Rock history. But there were a couple of things that I absolutely did not like or even think was needed in the book. Whatever momentum I was getting reading the present day stuff, always came to a screeching halt when the book shifts to a narrated flashback as Mick Wall sees it. His words, not mine. Suddenly the book is now reading like a screenplay for a potential movie. This works fine if it were formatted as a screenplay. But for me, this just became unbearable after awhile. Whenever I could see that another flashback was about to rear it's ugly head, I started dreading having to read it. This is a pretty fat book at 467 pages. So there were a lot of instances where I was beyond frustrated regarding the flashbacks. Sure, some people can and will argue that it's there simply to further flesh out that person's character and where they came from. But for me, it just doesn't work in a book/novel format. For you other readers, you may enjoy it. I for one do not. The other thing that I found unnecessary was the amount of time spent on Aleister Crowley. It was just way too much and took me even further away from Led Zeppelin and all the crazy stories that went down on their Tours over the years. Sure, once again other readers will say that it belongs in the book because of the profound influence he had on Jimmy Page and his music regarding all that "Black Magic" crap. For me, I could care less. I get it. But I don't need to read page after page of what Crowley was like as a child and growing up to become this wizard and all that. It was totally unnecessary and a waste of time. And do we really need to know that Jimmy bought such and such castle and how he decided to give all the rooms it's own different theme? No. Stuff like this should have been cut out to make it tighter and more precise (i.e. a better read). I was also curious as to just how far and how much of the Led Zeppelin legacy was going to be addressed in the book. It's all here from it's humble beginnings as The New Yardbirds all the way to Robert Plant and Alison Krauss' Raising Sand, which by the way is the sole reason why there is no reunion as of 2011. Yes, even the reunions of Live Aid, Atlantic Records 40th Anniversary and O2 are dissected here. I'm a huge fan of the band and thought I knew it all. But there were very few things that were new to me in this book. Overall, the book simply retells everything that even a minor fan of the band already knows. 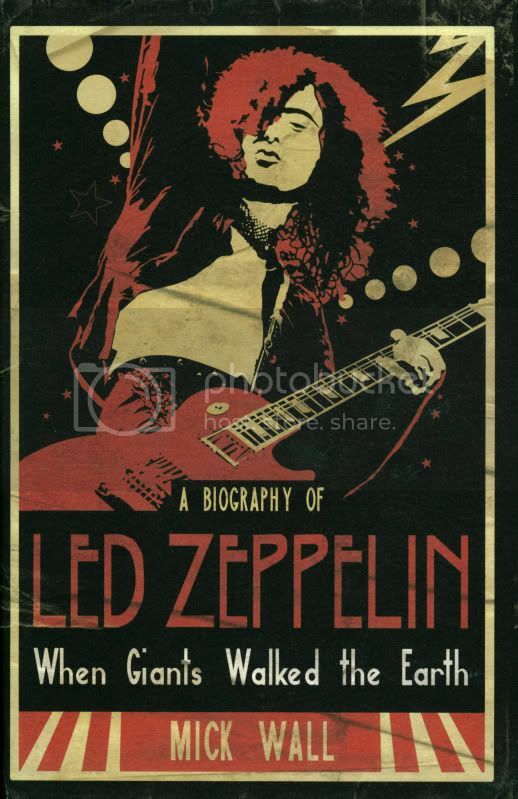 So, I would only recommend the book to those that have to have everything with the name Led Zeppelin plastered on it. Personally, I would never read this one again.